Need a classier interior? We got the best Seat Covers! (SARD, DAMD & Autowear)! If you want to make your interior nicer, we've got some awesome Seat Covers that ship straight from Japan to you. They're easy to install, easy to clean and durable as well! They are also wrinkle-free when installed, only the best quality! All kits include FRONT + BACK seats! ALL OUR PRICES ARE DISPLAYED ON OUR WEBSITE. WE SHIP WORLDWIDE AND QUICKLY. JUST CLICK ON THE PICTURES & VISIT OUR WEBSITE TO SEE THE PRICE! WE DON'T HIDE OUR PRICES, BEST PRICE AS ALWAYS! We offer the most exclusive JDM parts for the Scion FR-S, Subaru BRZ & Toyota 86. We ship all our products straight from Japan using DHL or EMS (3-5 days) and we only offer the highest quality items on the market. NO FAKE, REPLICA, LOW QUALITY OR COPY, ONLY 100% AUTHENTIC. We want to help innovation and originality to bring a much better tuning scene, so not everyone has the same looking car. Last edited by Max @ 86WORX; 10-13-2016 at 08:58 PM. Visit Max @ 86WORX's homepage! Many sets of Black SARD Seat Covers in stock! I bought my SARD covers from Max at 86worx a month or two ago. Max was VERY good about answering my questions and emails quickly and pleasantly, and the shipping as unexpectedly fast from Japan; only took a little over two weeks to get to central NY state, US. The covers fit great, look great, and feel very good. I wouldn't call them "easy to install" for a first-timer, but it's possible to do a great job with a little patience. Max is a straight shooter and 86worx is a great company to do business with. Again.. nobody asked me to write this. I can also say max was great to deal with. Be sure to ask for extra candies, they are sooooo good!! I ordered some other stuff from him, but if I get SARD seat covers it will be through him. 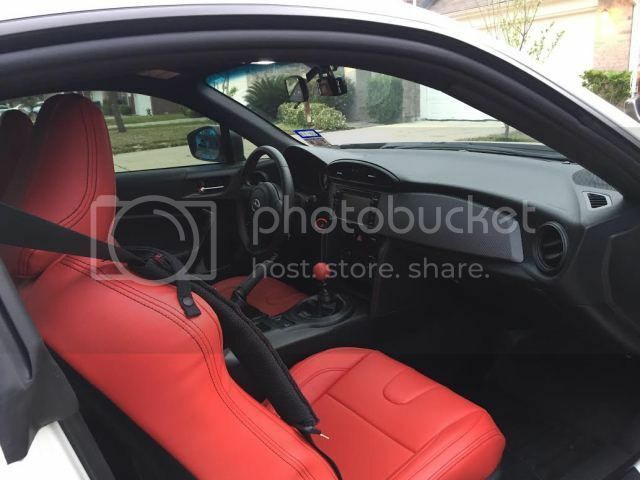 Have pics of red SARD seat covers? Do the black seat covers have red stitching? If so, can you get all black? From all our Seat Covers, only the Autowear Seat Covers come with black stitching by default!